The purpose of this page is to show a sample of blog development, design, and ongoing content creation. The page also includes information related to my user interface (UI) design and development process. Out of all the topics I blog about, I write the most prolifically about books. I love to read/listen and probably average 3-30 books per month. Blogging about books started because I was already writing reviews on GoodReads, Shelfari, Amazon and Audible. One day, while talking to an author on Twitter I had an epiphany. I could use all the content that I'd already been creating and put it onto a site. This would make it easy for me and friends to find my reviews. Even better if one of those popular sites ever went down, I'd have my content saved. I also found it extremely frustrating that Audible doesn't allow users to edit their reviews, so this was a solution for that too. This is a self-initiated project to share my love of books. I originally built DesaraeVeit.com as a catch-all blog for my hobbies and interests. Eventually the posts became so diverse the site began to appear cluttered and I was afraid users would not be able to find the topics they wanted. As a side bonus, the more I blogged about various topics, the more I started to be contacted by people in those industry with offers to review their content. Sometimes publishers and authors send me books to review, for free, in exchange for honest reviews. You will notice on the site I rate books using starts and meta-data snippets. Even if I get a book for free, I mention that it is sponsored and am honest about whether or not I like it and why. Just because something isn't my cup of tea, doesn't mean another reader wouldn't connect to the book. In fact, sometimes I go back and re-read or listen to a title and love it later. So I make sure to explain why a book didn't fit my mood or was hard to complete. I decided to create individual sites for various topics. 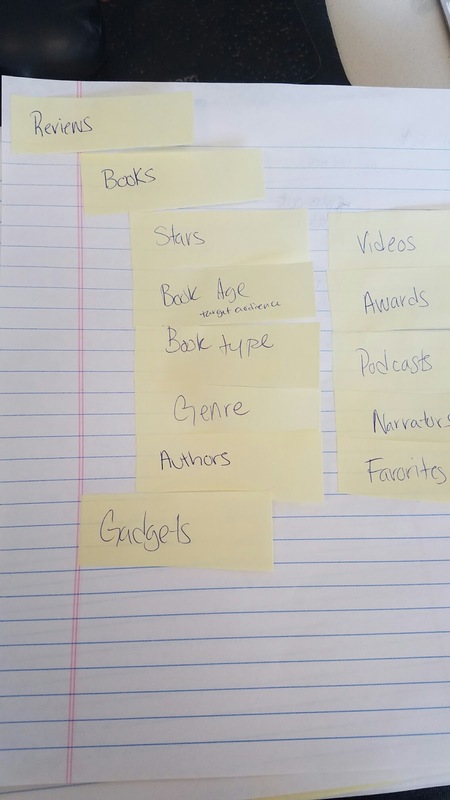 To determine which topics needed renaming and how to organize them, I wrote each category on a slice of a memo paper. Each slice had a sticky side that was easily affixed to a piece of paper and could be moved around to other sheets easily. Affixing the memos to a piece of paper made storing the ideas (together) easy. This method also allowed me to take pictures of topics and request feedback from other people. I custom designed and developed the website on BlogSpot. The site is based on a theme I created for DesaraeVeit.com but is extremely simplified. I also do the SEO, social media marketing, and writing. Most of the social media for my blogs are automated using tools like IFTTT. Some blogs have high monthly readership averages and others do not, but I don't spend a lot of time worrying about them becoming popular. I don't worry about it because I do not want to be famous and blog for my own enjoyment.